The Top 10 Superfoods You NEED To Have In Your Life! 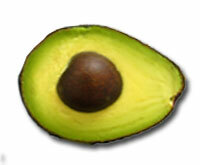 Home » Ask The Trainer Blog » Nutrition » Top 10 Superfoods You NEED To Have In Your Life! Powerhouses of the Food World! 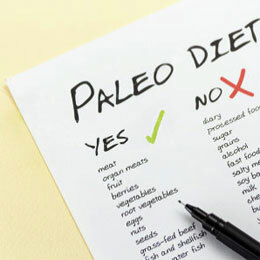 A lot of people would agree that choosing to eat healthy foods over high-fat fast foods is part of being a “responsible” adult—all the hassle it could possibly bring included! Imagine stepping into a supermarket and seeing thousands of labels screaming good health claims: Zero trans fat! Whole grains! Get your Omega-3s here! Whoa, nobody said figuring out what really is a part of a healthy diet is totally confusing! It’s so confusing that it drives some people crazy. I bet we all had that moment when we tried to justify some “unhealthy” foods that we eat. Remember that time you were pretty sure the slice of pizza you were holding is “close enough” to everything that the infamous pyramid is telling you to eat? Good job, genius! While that slice of pizza resembles the shape of the food guide pyramid, it doesn’t make the cut to the “eat more of this” list—yes, even if you argue that you don’t remove the olives and bell pepper toppings you hate so much. Knowing how to take care of your health is one of the many things you learn in life. Some people are pretty good at it while others are barely getting the hang of this whole “healthy eating” craze. Too bad there is no single food that contains all the nutrients needed to properly nourish the human body so we can all munch on it and feel good about ourselves for being one hell of responsible adult taking charge of his health. But, here’s the good news: there are “super” foods that you can eat to ensure that your body is getting what it needs and you have probably heard of these kind of food somewhere. Superfoods are nutrient powerhouses powerful enough to improve health, help lower your risk of cardiovascular diseases and prevent occurrence of other chronic diseases. These so-called “superfoods” have sky-high contents of antioxidants, which are known to fight off free radicals that can cause cancer. 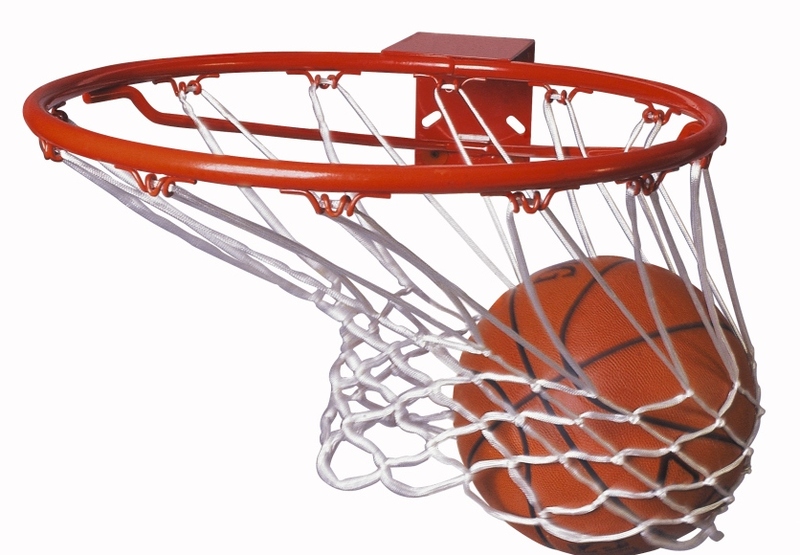 While the term is widely used in blogs and the media, it has no established status in science. After all, it is no secret that some foods contain more nutrients than the others. Blueberries easily earned a well-deserved spot as a superfood having one of the highest antioxidant capacities among all fruits and vegetables. A cup of these summer favorites contains 14 percent of suggested daily fiber intake and 24 percent of suggested daily intake of vitamin C. Not to mention they make a killer pie! But, did you know that the power of these berries lies in their color? That deep-blue hue is a by-product of flavonoids—natural compounds that protect your brain cells from the damaging effects of oxidation and inflammation. Not only that, according to a study published in The American Journal of Clinical Nutrition, consuming a cup of blueberries per week can lower your blood pressure and may speed up metabolism. They also have a high water content, which makes them a refreshing snack as they can hydrate your skin and other cells of your body. All the more reason to munch on these healthy berries! When it comes to fat, the one that comes from this “fatty” fish is definitely not the kind of fat you would want to avoid. Touted for its high Omega-3 fatty acid content—those “healthy” fats that reduce your risk of cardiovascular diseases and lower your LDL (bad cholesterol) levels, it’s no wonder the American Heart Association recommends eating this fish at least two times (two servings) a week. According to the results of a study published in The American Journal of Clinical Nutrition, eating just 3 oz of salmon twice per week can increase HDL levels—“good” cholesterol that helps remove “bad” cholesterol from the arteries and protect you against heart attack and stroke. Not sure whether teas are superfoods or super drinks? Call them whatever you like, but one thing’s for sure: teas are healthy—unless, of course you drown them with sugar or honey. There are what we call “true teas” and herbal teas. True teas, such as green tea and black tea, are made by steeping unfermented, semi-fermented, or fully fermented leaves of Camellia sinensis (tea tree) into hot water. Herbal teas, on the other hand, are infusions or decoctions of leaves, seeds, roots or bark of a plant other than the tea tree. Some of the common herbal teas are peppermint tea and rooibos tea. While all teas are indeed healthy, know that teas are not created equal. According to the results of a study published in The National Center for Biotechnology Information, green tea yields the highest level of antioxidants compared to other types of tea. It’s packed with epigallocatechin gallate, or EGCG, a powerful phytochemical that could help prevent the growth of some cancer cells. You can find the best green tea brand on the market in this excellent article. Your mom was right. You should eat your broccoli. This veggie with fancy-looking florets in vibrant green color is one of the superfoods you should include in your diet. According to epidemiological studies on brassica vegetables and cancer risk published in The National Center for Biotechnology Information, broccoli stands out among other cruciferous vegetables for its exceptionally high levels of immune-boosting vitamin C and heart-healthy folate. Not to mention it’s packed with fiber, known to lower bad cholesterol and promote healthy digestion. Several studies also suggest that eating only four servings of broccoli per week could reduce your risk of developing cancer. Of course there must be another reason why guacamole exists aside from it tasting heavenly! When it comes to fat, it all comes down to choosing the “good” kind of fat. We need fat in our bodies to absorb fat-soluble vitamins—vitamins A, D, E, and K. Avocados may be fatty, but that doesn’t mean that they are bad for you. Avocados are chock-full of monounsaturated fatty acids, fats which are good for your cardiovascular health because they don’t clog your arteries and promote inflammation. They are also packed with vitamins and minerals, such as potassium (they contain more potassium per weight than bananas), B-complex vitamins, and vitamins C and E. Also, the oil found in avocado works to toughen skin while also hydrating it. Bravo to the avocado! KEEN-what? It’s hardly news that quinoa (pronounced KEEN-wa) makes it to the list of top superfoods. With only 222 calories and 4 grams of unsaturated fat per serving, this ancient Incan staple makes a healthy dinner. It’s chock-full of protein, iron, fiber, and abundant in phytonutrients. And yes, it’s gluten-free! Did I mention that it’s also tasty? 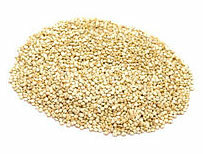 With its slightly nutty, pleasingly, earthy flavor and crunchy texture, quinoa still manages to be light. According to a study conducted at University of Chile in 2009, 15 percent of the total content of quinoa is protein—that’s double the amount found in most grains. So, if you’re aiming to pack on some well-ripped muscles, consider quinoa as your post-workout recovery meal. You can treat quinoa as grain, serving it as a side dish, or tossing it into a salad. Some people simmer quinoa like rice in a small amount of water. But, you can also try the “pasta method”. Boil quinoa in salted water, then drain. Simmering and boiling both works well in cooking quinoa and yield a similar result, but the pasta method can save you from “guess-timating” how much water you should put. Either way, never overcook quinoa or you will end up with a sodden mush. Ah, the good old tomatoes! You should know by now that this burger superstar is a fruit and knowing that it is what it is probably gives you the idea that it’s healthy. Though you’re not really sure “how healthy” this juicy fruit is, right? Well, the power of tomatoes goes beyond spicing up your burger or your sauces. According to an article published in Harvard Health Blog, eating tomatoes may help reduce your risk of stroke, all thanks to its lycopene content. 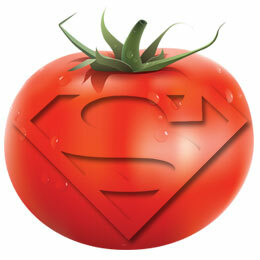 Lycopene is a powerful antioxidant that is responsible for tomato’s red hue. Together with a group of related compounds, it has shown anti-cancer potential in several studies. In fact, according to American Institute for Cancer Research, tomatoes have attracted attention from prostate cancer researchers as lycopene tend to concentrate in the tissues of the prostrate. While tomatoes are as delicious when raw as when they are cooked, studies suggest that its cancer-fighting potential is increased if it’s consumed in processed form such as tomato sauce, tomato paste, or tomato juice. 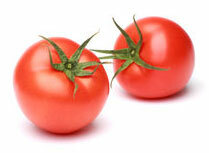 Cooking tomatoes allows the natural compounds it contains to be released and be easily absorbed by your body. Ever wondered where vegetarians get their supply of body-building protein? Well, they have spilled the beans! Yes, beans! Beans are more than just meat substitute. According to Dawn Jackson Blatner, RD, a registered dietitian and spokeswoman for the American Dietetic Association, beans are comparable to meat when it comes to calories. However, these nutritional powerhouses shaped like tiny spheres, strings, or kidneys stand out in terms of their fiber and water content—two key players in healthy weight loss. Beans are also a good source of protein. Though ground beef contains more than twice the protein per ounce of beans, there’s no need for bean-eaters to worry as they can still pack on protein by mixing beans with other foods. They are also a great source of iron. 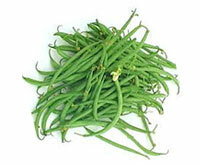 One study showed that among all other beans, white beans reign supreme in the iron department. Still thinking how to include beans in your diet? Well, beans are highly versatile when it comes to recipes. You can include them in your burritos, soups, stews, dips, salads, and sauces. Should you go nuts on nuts? Definitely! 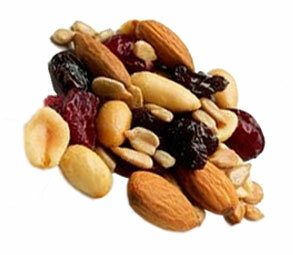 The creamy, savory taste and texture of nuts make them a popular snack. But should you be worried snacking on nuts? As much as 80 percent of a nut is fat. These bite-size nutritional powerhouses are packed with heart-healthy fats, protein, vitamins, and minerals but are high in calories. That is why you should eat nuts in moderation. The effects of eating nuts on cardiovascular health have been examined by researchers from Harvard Medical School and the Harvard School of Public Health and their work shows that nuts are really healthy, especially for men at risk of heart disease. Almonds are among the lowest-calorie nuts at 160 calories per ounce. These nuts are calcium-rich, making it a good choice to ensure that you are getting enough of this bone-building mineral. Plus, they are also rich in fiber and vitamin E, an antioxidant that helps fight off cancer and improve the condition and appearance of your skin. You may not find chocolate listed as one of the waistline-friendly foods but you can definitely combat its not-so-healthy side by going “dark”. Dark chocolate may not be as sweet as milk chocolate, but it has earned its spot as the healthier choice when it comes to satisfying your sweet tooth. Studies show that eating a small amount of dark chocolate 2-3 times a week can help lower “bad” cholesterol, improve blood flow, and prevent the formation of blood clots. 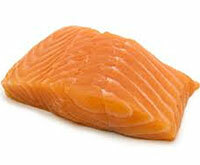 It is also loaded with antioxidants that help your body get rid of free radicals that can cause cancer. 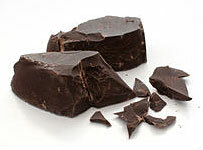 According to the results of the study conducted by researchers of Top Institute Food and Nutrition and the Division of Human Nutrition at Wageningen University, Netherlands, published in The FASEB Journal, moderate consumption of dark chocolate reduces your risk of atherosclerosis—a condition in which plaque builds up in your arteries, hardens overtime, and narrows your arteries leading to serious problems, including heart attack and stroke. Chocolate lovers, rejoice! I hope that this article can guide your next grocery shopping trip, remember to live loud and proud! Leanne Thompson is a healthy weight loss and nutrition enthusiast. She is a certified nutritionist that has been in the nutrition & weight loss industry for 2 years now. Visit her blog at LeanneKnows.com for helpful advice on weight loss and general wellbeing.